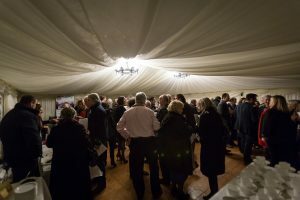 Our ‘Meet the Winemakers’ event recently, in Ticehurst,Kent, was a huge success! We were completely sold out long before the event, with over 100 enthusiastic wine tasters attending to try over a dozen new wineries products, eagerly presented by the winemakers themselves, flying in for the day from France, Germany, Portugal, Italy and Sicily, to name a few! 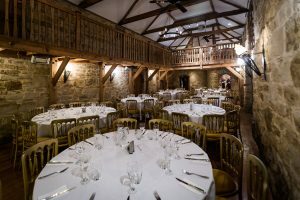 The meal was exquisite, supplied very well and served by The Swallows Oast team in a very efficient and ‘fussless’ way, so thank you guys for all your efforts, especially as we were late sitting down to eat, as everyone was enjoying the wines too much! Thanks go to all the winemakers who took the time to fly to the UK to present their array of stunning wines. For all enquiries please email info@uniquewinesafaris.com, as all the wines tasted are available now in the UK, with deliveries going out before Christmas 2017 and into the New Year! 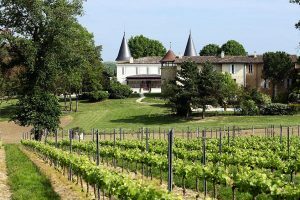 The Pelaquie family have been producing wines in the Southern Rhone valley since the 16th Century! The vineyard of 95 hectares in one single block is composed of 91.5 hectares of vines producing Red AOC Bordeaux Supérieur and 3.5 ha producing White AOC Bordeaux and AOC Crémant de Bordeaux. The terroir of Chateau De Seguin consists of a mosaic of soils typical of the wine geology of the Entre Deux Mers area. Essentially, it is clayey-calcareous basement strongly stony slopes and sometimes accentuated. According to the plots, there are reports of heavy clay soils and, to own a good expression of the Merlot, and always warm and filter lighter soils, sometimes sandy, sometimes rocky, sometimes muddy, where Cabernet find its ground of election. 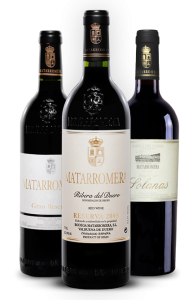 Bodegas Matarromera are found right in the heart of the Ribera de Duero. Its facilities are partially buried in the north hillside of the Duero Valley with beautiful views that tower above the whole valley of the municipal district of Valbuena de Duero in Valladolid. Matarromera was born with clear international successes and they continue to win prestigious awards and recognition, already enjoyed over its whole business development. The winery offers superb technology for the best quality in winemaking. It incorporates temperature-control, stainless steel vats and equipment, with a winemaking capacity reaching 650,000 litres. 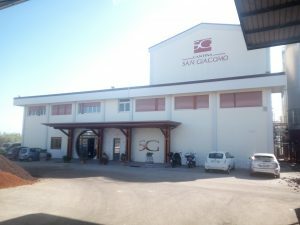 San Giovanni began growing grapes in 1917, becoming a family run business, passed on, from generation to generation and now in the very capable hands of Daniella and Leonardo Ortoleva. The farmland is made up of about 25 hectares, situated in the stunning province of Palermo, between Partinico and Monreale. 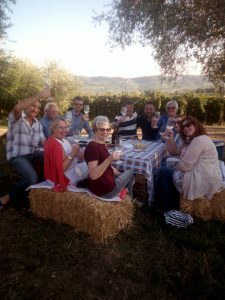 Anyone interested in this region may well be advised to sign up for one of our ‘Unique Wine Safaris’ to Sicily, as San Giovanni play a very important role on these tours, as any attendee will tell you! Fattoria Teatina stems from the life plan of its owners, Antonella and Pierluigi de Lutiis. Encaptured by the desire to fulfil a dream and subsequently to convey their great love for the land to other people. Again, anyone venturing with us to Abruzzo on one of our Unique Wine Safaris will have the pleasure of visiting this cantina in all its glory and enjoy a light brunch of local Abruzzo delicacies, whilst sampling their fine wines, in the surroundings of one of their vineyards, next to the winery, with the winemakers. 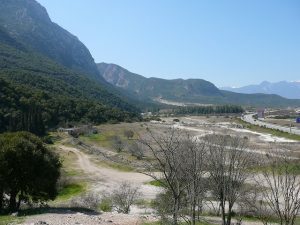 The new vineyard in Thermopylae was planted in 2006, replacing an ancient vineyard, that sits on one of the best wine terrains in the area! The wine cultivation is strictly organic with all harvesting done by hand in the traditional Greek method. The red wine from this estate has a robust and full bodied taste. The unique registered label is a reminder of the ancient strength and power of the region. Its pureness allows you to enjoy it even in the middle of the day! Situated near the medieval, picturesque little village of Luogosanto , Siddura can be described as the heart of the Gallura. 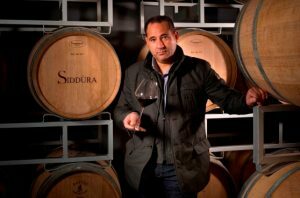 Here the noble culture of wine is as old as the history of the people who have inhabited this land over the centuries. To renew this antique tradition gives a historical dimension to the lives and daily toils of the winemakers. It fulfils the dream of creating something unique and extraordinary of these ancient roots. Siddura are grateful for being so lucky. The Beni di Batasiolo farms are all located within the prized Barolo wine-growing area: Batasiolo, Morino, Cerequio and Brunate in La Morra; Boscareto and the historical Briccolina in Serralunga d’Alba; Bricco di Vergne and Zonchetta in Barolo; Tantesi and Bussia Bofani in Monforte d’Alba. DB importo are passionate about port wine and having had the fortunate opportunity to have had a life long appreciation of this gorgeous drink, over the last few years they have been visiting the Douro region regularly. Infact, they have tried several hundred different ports, many at the quintas where they were produced. Bearing in mind the unexciting offerings in our supermarkets and the usually far too young bottles of vintage that are available in upper market emporia, they decided that it was time to share some of the secrets they had found! The Trabocchi Coast sea and the overlying hills make the landscape where San Giacomo Winery settles the best frame for the perfect exhibition of his mighty vineyards and for the influences the sea brings to its wines quality. By the regional peculiarities come the aromatic fragrances of the full-bodied Reds and the delicate notes of the Whites. These are the foundations on which stands the Winery and on which year after year, at each new harvest, the cellar-men, the agronomist and the oenologist rely with the aim of getting better and better products, optimising production technologies and respecting the tradition. The award winning ‘Monteselva’ wines are born in Abruzzo; the ‘Green Heart of Europe’, in a territory deeply suited for viticulture, in a favourable microclimate with important thermal excursions. The endless hilly expanses of vineyards are located between the sea and the mountains, not far from each other; a wonderful landscape image frames a territory with a florid and varied agriculture; it is here that the ideal conditions are created for the cultivation of grapes with unique and unmistakable flavours, strong and gentle, like this land. 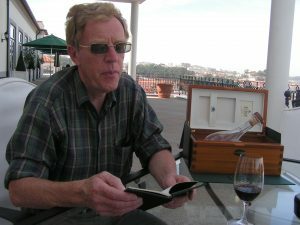 keep up the great work, I read a few articles on this site and I think that your wine tours are really interesting and away from the ordinary!